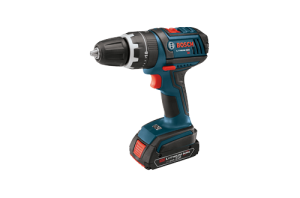 Bosch power tools are renowned for their durability, versatility, performance, and ease of use, making them great additions to any industrial tool collection. 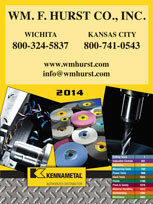 If you have a business in Kansas City, Wichita, Dallas, Fort Worth, or another nearby city and you want to purchase Bosch tools, then turn to the area’s most trusted industrial supply distributor, Wm. F. Hurst Co., LLC. We have served businesses in the Midwest for more than a half century, and we’ve earned a reputation over that time for providing durable and dependable supplies that our customers need quickly and at a highly competitive price. Purchasing Bosch power tools guarantees you will have tools that operate in accordance with the highest standards in speed and precision, and doing business with Wm. F. Hurst allows you to receive expert customer support to ensure you choose the right tool for the job. Our team has expertise across a wide range of industries and can be trusted to help you identify the proper tools needed for a variety of applications. In addition to Bosch tools, we also offer a wide range of other industrial supplies, including metalworking fluids, abrasives, safety equipment, and more. Contact Wm. F. Hurst today if you would like to receive more information on our selection of Bosch power tools for sale, or any of the other industrial supplies in our inventory. We proudly serve businesses in Kansas City, Wichita, Dallas, Fort Worth, Joplin, Springfield, Sedalia, and other nearby cities in the Midwest.